Rib Boat Transfers in Luxury thanks to the Comfortable, Fast, Reliable and Secure Speed Boats we have at all times and to all destinations. 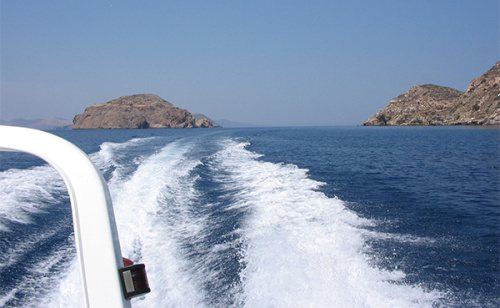 Sea Transfers from Paros to Mykonos, Santorini, Lavrio … to all the International Airports of the country. Also Hopping to all the islands that local transportation does not serve. We undertake to Transfer you from the sea with absolute Security and Comfort to the destination of your choice. Safe and Fast Transportation thanks to our Experienced Skippers and to our new Rib Speed Boats even in difficult weather conditions, all time. Our Rib Boats are based on Paros island and the specialized & experienced crew will transfer you to all destinations even in bad weather conditions. We provide you the opportunity to pick you up from the port you are and take you to wherever you want to go. The prices relating to the Transfer with Inflatable Rib Boat, from/to the port of Parikia Paros, one or two passengers with normal quantity of luggages, in good weather and with winds not up to 3-4 beaufort.The prices will be adjusted in accordance with the number of the passengers/luggages, the weather conditions, the time. Waterproof Jacket (for bad weather). Disembarking at the port of destination. Waiting for the taxi to ensure your onward transportation. The prices start from that charges and will be different because of, the weather conditions, the time, the number of passengers & luggage.